A great blend of comedy and the paranormal genre. A secret government agency that specialized in mysterious paranormal occurrences gets the help of a sceptical ex-policeman and a geeky scientist. 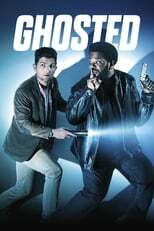 Where can you stream Ghosted? On 2017-10-01 Comedy TV Series Ghosted first aired on FOX. Written and created by Tom Gormican, and produced by TYPO & 3 Arts Entertainment, .